What does the Enable Image Scaling plugin do? A lot of people have contacted me in the last year about my Enable Image Scaling plugin to ask me what exactly it does. It’s a valid question, mostly because many people don’t understand the distinction between scaling and cropping. 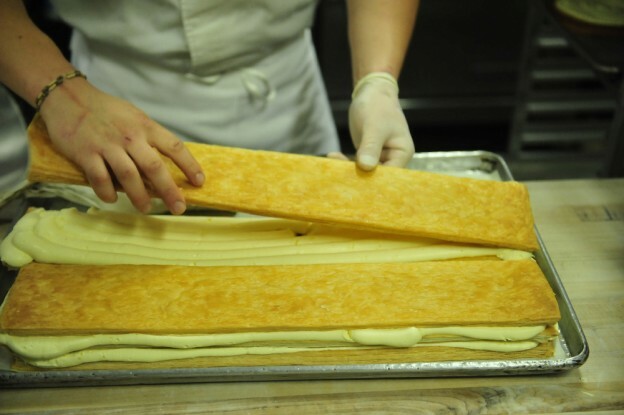 Put simply, scaling is like resizing. 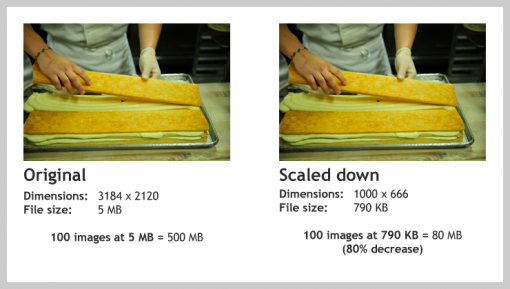 The plugin resizes — or scales-down — your image(s) on upload. So why would you want to do that? Smaller images make for faster websites. I’ve worked up a little example to try demonstrating the benefits of scaling down images on your WordPress site. By most accounts, that’s a pretty big image. And that’s about par for the course when it comes to modern digital cameras. And let’s say that in the last year, conservatively, you’ve uploaded 100 images to your photo blog or whatever. That’s roughly 500 MB of images. 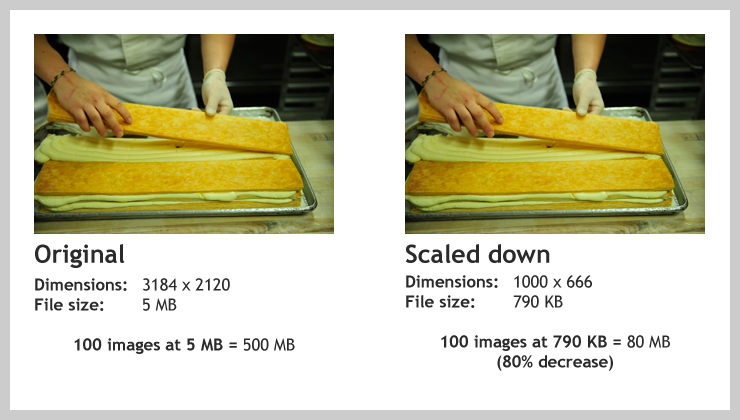 If you had scaled down all 100 images on your photo blog to 1000px width, they would now have a cumulative file size of roughly 80 MB, which is an 80 percent decrease. Year over year, stored images can really start to add up and it doesn’t make a lot of sense to store huge, original images on a server if they can’t be viewed to their full potential anyway. Enable Image Scaling can help you keep things sensible. Posted on December 20, 2012 December 20, 2012 Categories WordPressTags image scaling, images, media, plugin1 Comment on What does the Enable Image Scaling plugin do? This morning I released version 1.0 of my Enable Image Scaling on Upload plugin. It’s completely rewritten but sports the ability to set custom dimensions in 3.5+. It also now allows for globally enabling or disabling the feature. It’s still backward compatible, though custom dimensions are not supported in 3.3 and 3.4. Download it in the WordPress.org repo.